Hometown Vending is always ready to pour you a steaming fresh cup of coffee! Our coffee service supplies you with reliable coffee equipment including brewers and airpots. We keep your coffee area stocked with the best brand name coffee and teas including Folgers, Maxwell House, Starbucks, and Lipton. And yes, we’ve got a hot cup for Hot Chocolate lovers! Looking for Keurig K-Cups? You are in luck! Fresh, steaming coffee available at a moments notice! The MicroVend is ideal for vending small items such as single-serve coffee, creamers, energy drinks, and more. A countertop machine with a pleasing contour design. Compact design for use in a lounge or office environment. The perfect compliment to any single-serve coffee operations. Offering popular single-serve portions of today’s smaller sized items. Vends all the favorite single-serve coffee containers and individual creamers. Not only does Hometown Vending keep you stocked with coffee, tea, and hot chocolate, our machines are always clean and working smoothly. In the rare event of a problem, we will have you back up and running quickly. We also continually restock your location so you’re never out of your favorite brew. And we don’t forget anything. You get the complete range of creamers, sugars, cups, napkins, stir sticks and more. Located in Montgomery County Texas, we offer fresh healthy & traditional vending machine services and micro markets in Conroe, The Woodlands, Tomball, Humble, Magnolia, Huntsville, Spring, Greenspoint, North and West Houston areas. 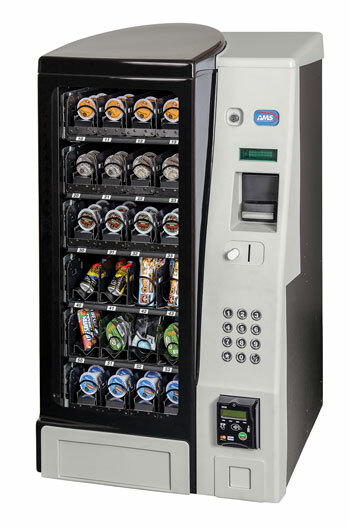 We are a real vending machine operator, not a management company, offering a complete selection of famous brand name snacks, beverages, office coffee, and freshly made sandwiches and food choices! © 2012-2018 - All rights reserved Hometown Vending Machine Services | Conroe, Houston, The Woodlands, TX.